This is a PBIS video about using kind words. Students in Choir and Percussion performed for their parents during the 2018 Fruitvale Elementary Spring Choir and Percussion Concert. PBIS Video on how to respect school property. On Thursday, December7, Fruitvale was proud to present the Winter Choir and Percussion Concert. 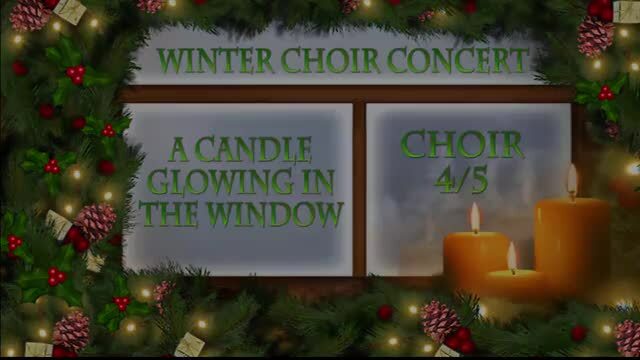 This concert, directed by Fruitvale staff music teacher Monica Napier, featured performances by the 3rd Grade Choir, the 4th & 5th Grade Choir, and the choirs combined. In addition, 5th Grade Bucket Band, an exciting new percussion group here at Fruitvale, made their performance debut. The evening was a beautiful and enjoyable music experience. On Thursday, December 14 we had a pie in the face for both Coach Houghton and Coach Coyle. The PE department had a fundraiser, boys versus girls, and the winning team watched the corresponding coaches take a pie in the face. The girls won!! !